Frontman of the Old 97’s on a solo spree, catch singer/songwriter Rhett Miller as he brings his material to the great venue City Winery. Joining him is the pop song making machine Moneybrother. Nearby, Pakistan Tea House is a buffet style Indian restaurant where you can choose between chicken, meat, fish and vegetables. It’s affordable and very good. For drinks, check out Mocca Lounge. With a funky interior and a menu of Italian inspired fare, it’s also a bar with a large list of coffees with or without alcohol, beers, and frozen shots. Smack dab in the heart of Chinatown, the Chinatown Ice Cream Factory makes gourmet ice cream flavors like Black Sesame, Ginger, Durian, and more exotic flavors like Taro and Wasabi. Don’t worry, they have the go-to’s like Vanilla, fruits, and chocolate flavors too. 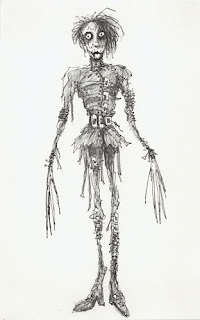 In this Tim Burton retrospective, MOMA features over seven hundred examples of rarely or never-before-seen drawings, paintings, photographs, moving image works, concept art, storyboards, puppets, maquettes, costumes, and cinematic ephemera from his early childhood drawings through much of his filmography. Nearby and delicious, Eatery offers a new American menu that’s asian influenced. Try the Red Curry Chicken Breast over roti pancake, with baby carrots and red curry coconut sauce ($16.95). Valhalla’s minimalist space is chill, letting the 24 brands of beer from all over the world on tap be the main attraction at this bar. While its warm out, waste a little time walking through Central Park, relax, and get out of the hustle and bustle of the city. Just watch your step. The working horses tend to leave surprises behind them!